Step back in time to the early hours of 17 May 1943 and on board Lancaster G-George to join the Dambusters on their legendary mission. You can also purchase your ticket from the experience itself, subject to availability. This immersive Virtual Reality experience runs daily from 10.30am - 5.00pm daily. Tickets may be pre-booked for time-slots up to 2.30pm. After 2.30pm just turn up. This immersive experience was created by All Seeing Eye and funded by CreativeXR, a VR/AR content innovation programme created and run by Digital Catapult and Arts Council England, with support from Innovate UK. For more information on the programme please visit www.creativexr.co.uk . 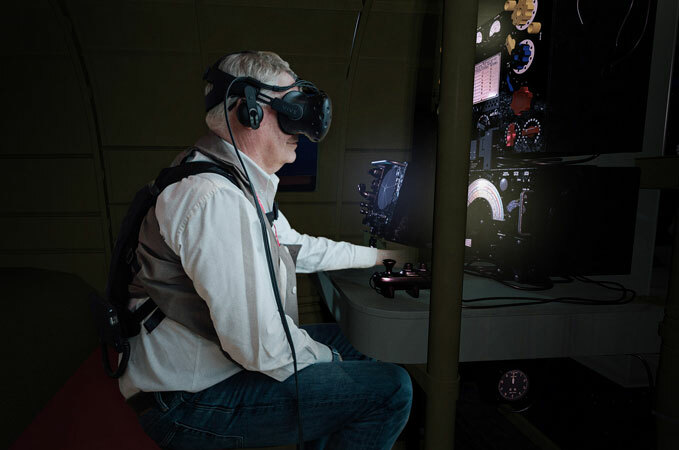 It supports the Royal Air Force Museum’s vision to share the RAF story in new innovative ways that bring to life iconic moments from the service’s history. 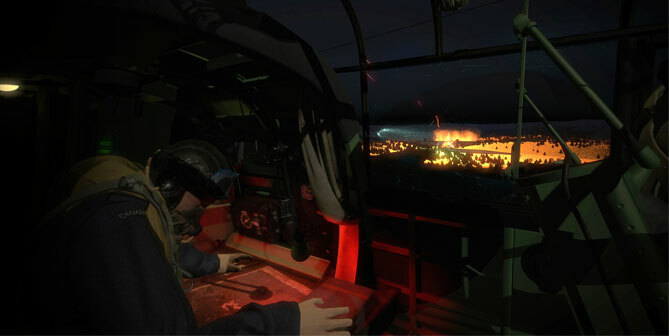 If you have any questions about our cutting-edge virtual reality experience, combining the latest technology with a physical set, please click here.